This close fitting tank is ideal for the summer sunshine or under a formal jacket for those warmer days at the office. Knitted in 100% organic worsted weight cotton it knits up in a jiffy to keep you looking cool calm and collected. 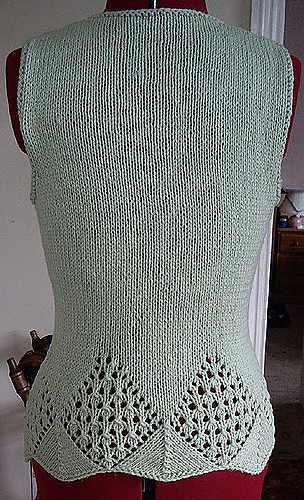 Minimal waist shaping and lace on big needles makes for a great first lace project. 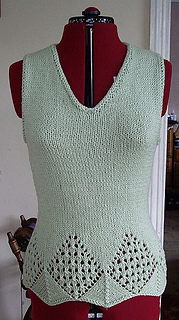 This design is contains charted lace patterns.